This year's finalists for ICCA's Best Marketing Award are Artion Conferences and Events (Greece), Kuala Lumpur Convention Centre, MEET TAIWAN and Netherlands Board of Tourism & Conventions. 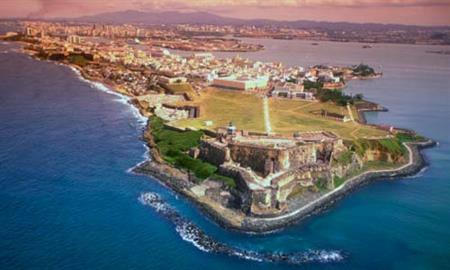 The finalists will present their marketing campaigns at the 51st ICCA Congress in San Juan, Puerto Rico, taking place from 20-24 October 2012. The campaigns include: a technology-enabled programme designed to turn delegates into destination promoters; how to custom-build a super-friendly national brand ambassador; using cultural assets to tie-up client loyalties and motivate your staff at the same time; and a case study in how to win business in the face of overwhelming obstacles. The award recognises the excellence and outstanding achievements of organisations in their effort to market their destination or product. Entries range from national campaigns, innovative branding and the use of technology to success in the face of disaster. The ICCA Best Marketing Award is sponsored by Bedouk Meetings & Events Media and is open to ICCA members only. he 2012 ICCA Congress is still on track to attract the biggest attendance figure of any ICCA Congress in the Americas (the 2008 Congress in Victoria, Canada attracted 734 delegates).